Essential recently launched their Android Oreo Beta Program, open to all owners of their PH-1 flagship. We detailed a quick and easy method for installing the beta on your device. With every beta program, there are bound to be plenty of new features and a few bugs, as we found out with the Galaxy S8 Oreo Beta. Let's take a look at what's new with Android 8.0 on the Essential Phone. 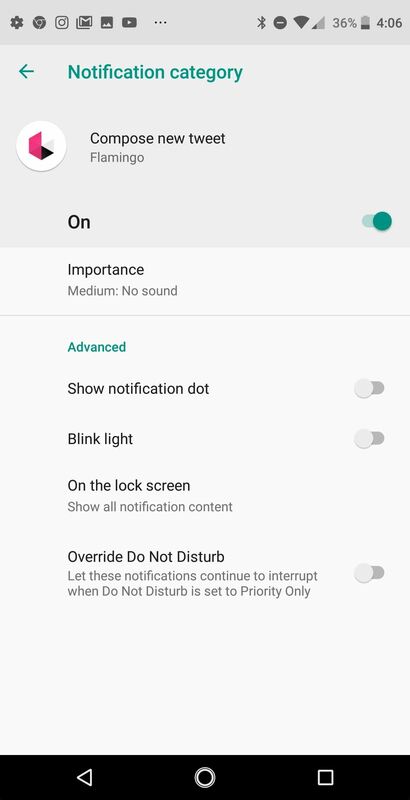 Two big user-facing features in Oreo concern how you control and interact with notifications. 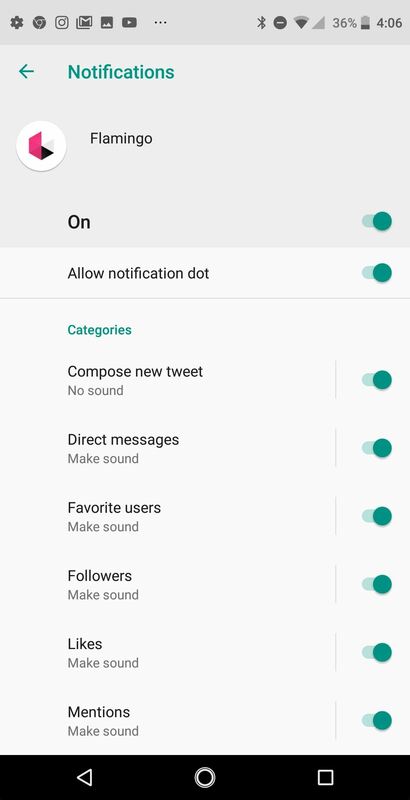 Notification channels allow users to take granular control of their notifications and specify what type of alerts they receive for each category. We covered this topic in-depth in our Galaxy S8 Oreo Beta notification coverage, if you're interested in more detail. Notification Dots, on the other hand, are a simple visual alert that a notification is waiting in a certain app. One strange thing we've noticed on the Essential Phone, the dots do not adapt their color to the particular app icon. 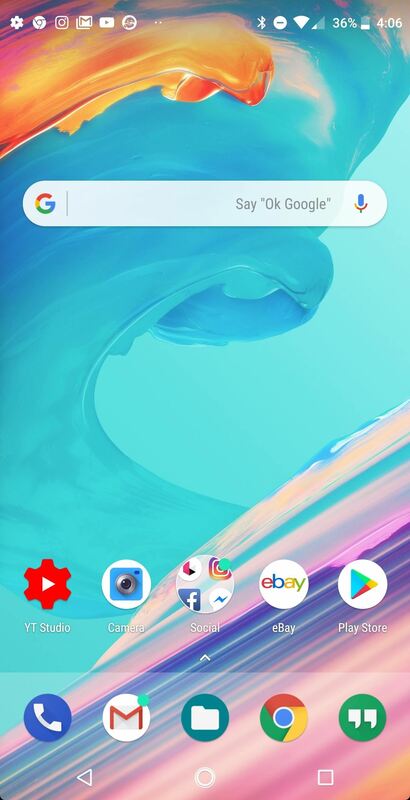 All of the notification dots on our PH-1 are green, in stark contrast to the multi-colored dots on the Pixel devices. 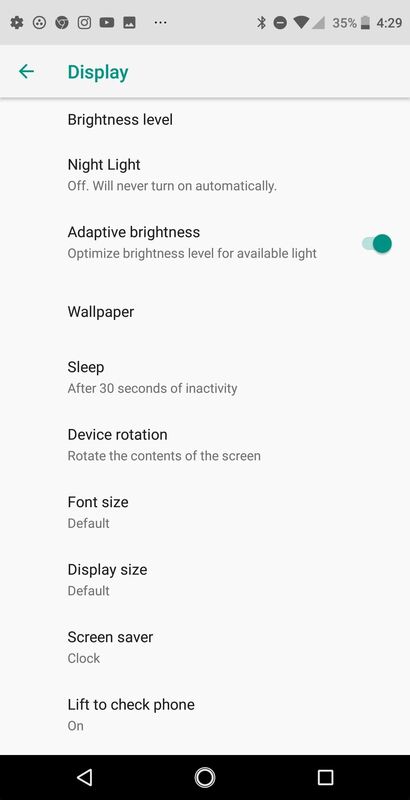 When Essential launched the PH-1 earlier this year, they omitted a pretty basic flagship feature: Night Mode. The most puzzling thing about this omission, Night Light is featured as part of "stock" Android on the Pixel devices. 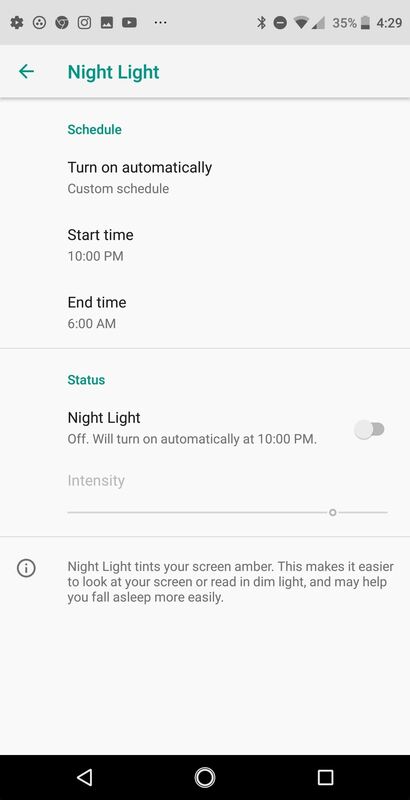 With the Oreo Beta, Essential added the option to minimize blue light when using your phone's screen at night. 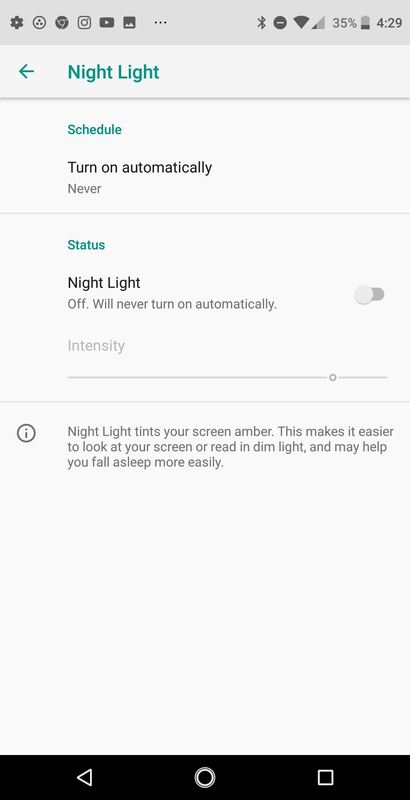 Users can set a custom schedule for Night Light and even change the intensity within Settings –> Display –> Night Light. It's nice to see Essential add this feature that benefits all users. Adding a little more color to your notification shade is never a bad thing. 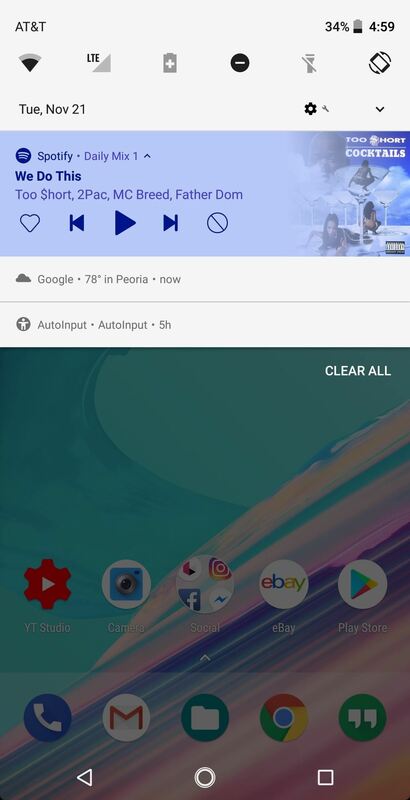 In Android 8.0, Google brought colored media notifications into the fold. 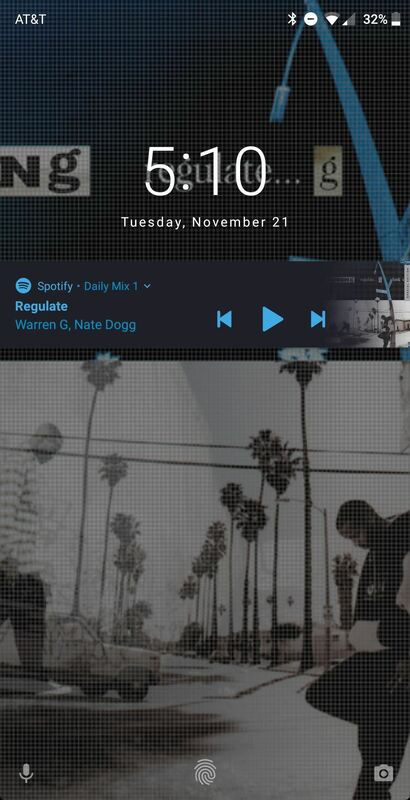 With these, apps like Spotify, Play Music, and Pocket Casts match their notification color to album art. While this doesn't add much functionality, it does provide additional aesthetic value to the UI. Near the end of October, Essential rolled out a update that brought swipe gestures to the fingerprint sensor. This features works basically the same as the Pixel devices, so a swipe down reveals the notification shade. 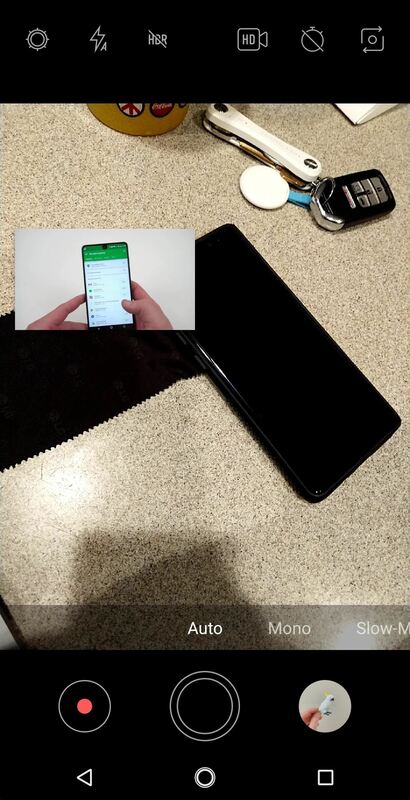 The main downside of Essential's implementation is how buggy it was at launch. In the Oreo Beta build, the swipe gesture on the fingerprint sensor is much improved. We haven't had any issues with the gesture in the Beta, hopefully this stability will continue. Watching YouTube while scrolling Twitter is pretty awesome. With picture-in-picture in Android 8.0, you can accomplish exactly that. When watching a Youtube video, simply hit the home button to minimize your video and continue working in other apps. The same goes for a handful of other apps that have been updated to support the new feature, including VLC Player. Overall, Essential didn't add a ton of new user-facing features in their Oreo Beta build. In fact, many of the features we detailed are stock Oreo inclusions that have been tweaked slightly. This is much more of a stability update by Essential, and there it really shines. 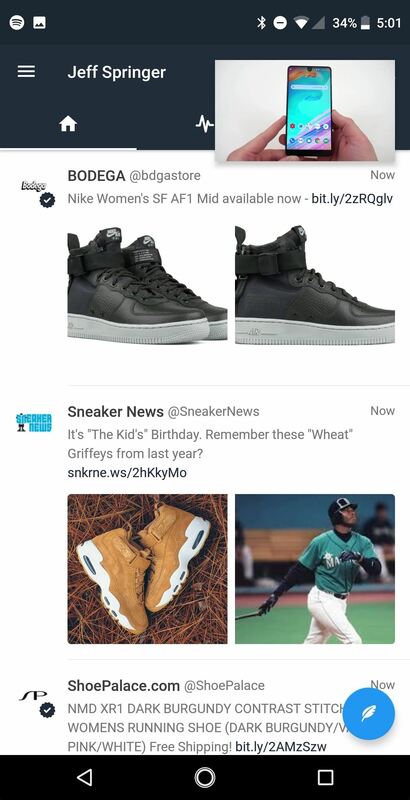 The overall UI scrolling and navigation smoothness have improved greatly. Combining these stability updates with the improved camera, the Essential Phone is now a great deal at the $449 price point. We will update this post if we find other new features, so let us know in the comments if you've noticed anything new!